They condensed their formulas into an app. ‘Nuff said if you know anything about RP and their success. I had several friend who were incredibly successful using the RP templates, but I wasn’t as successful. I needed something easier to follow, and a year later the RP app was released. 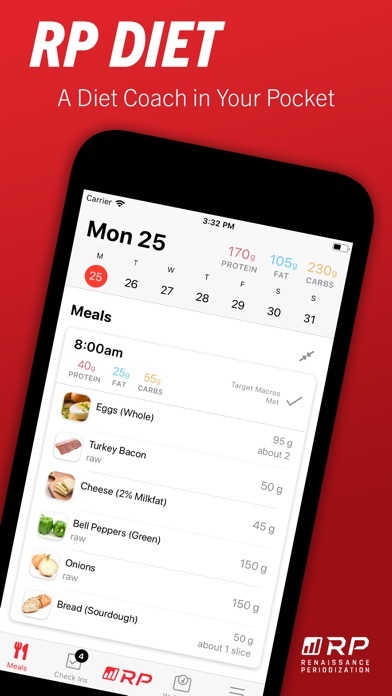 The app does the math for you based on the foods you select, so it’s easy to follow. I’m 9 weeks into the cut and I’m down 20lbs (260lbs to 240lbs). And, at the same time, I’ve had strength gains where I’ve previously plateaued. My body composition has changed greatly and I still have 3 weeks left. Do yourself a favor and give it 12 weeks. You’ll be glad you did. Adjustments need to be made for overnight workers. It will not let me put in my true hours of bed and wake time. I have to put in “fake times” and adjust accordingly. I love RP!! 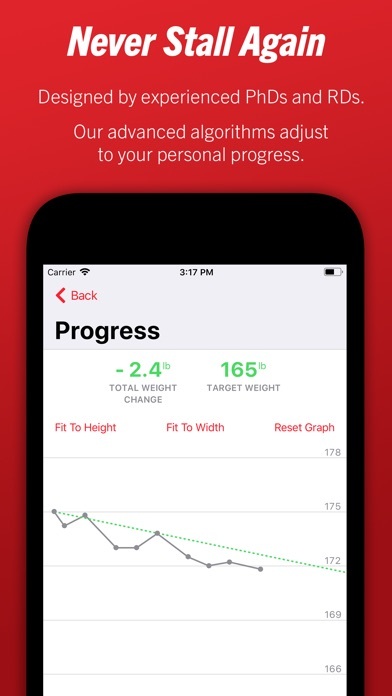 This app is very interactive and helps keep you on track for GREAT success!! I recommend this to everyone and anyone, especially those who have a hard time staying the course. I would say I’m pretty good at tracking macros, and I was on week 4 of the Templates when I found this app. I officially switched, because it is so easy to prep meals. It tells you exactly how much of an ingredient you need without having to do the calculations yourself. 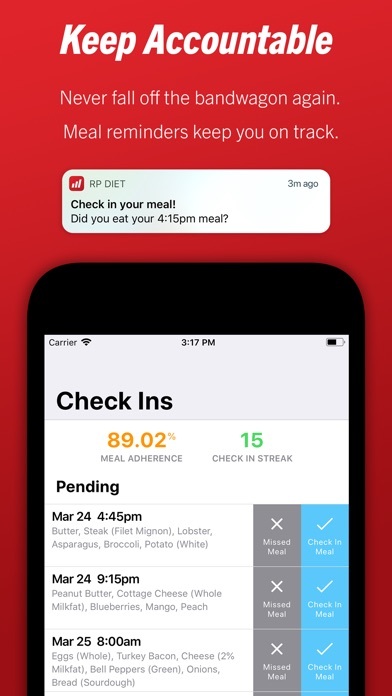 Simply put the food in you want to eat and it tells you how much cooked or uncooked ingredients to use for that meal. Simple and fast! Love the app but it keeps crashing with the update and it won’t let me access my meals for the coming week until I update my lifestyle and everytime I try to, it crashes and exits out Please fix! I love this app. It takes most of the guess work out of my diet/meals. I love the structure of the app and feedback and that the developers are constantly improving it based on feedback from users. Also, the customer service is top notch. 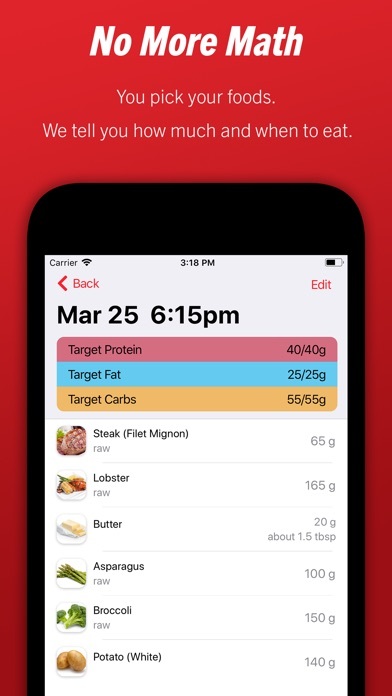 I definitely recommend this app if you like meal/macro structure and you don’t have the time, knowledge, energy or desire to figure it out for yourself.